Lots of these beauty and bath products being firm blogger favourites. With some marble and rose gold thrown in for good measure, and motivational prints for home / office. If you like this wall art, you may like my stationery gift guide. These two books on photography are must-haves for perfect blog photography - the backbone of a truly good blog. And nothing says fashion blogger like a good pair of shoes / boots, a oversized trilby hat and the ultimate blogger staple... a striped tee. 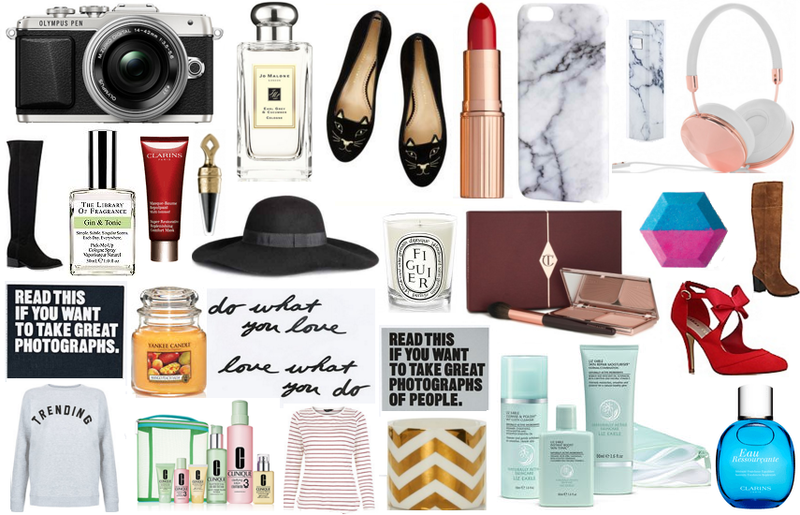 If buying for a food blogger, you may like my foodie gift guide. I read so many rave reviews about the Olympus Pen this year as a good blogging / vlogging camera - think this will definitely be my next 'small' camera!